“I would say there’s an ominous tone to things. But the stories themselves—our intent is to have a light touch with them… We find that players bring enough of their own darkness that we don’t have to supply any. You suddenly become lost in the fantastic maze. 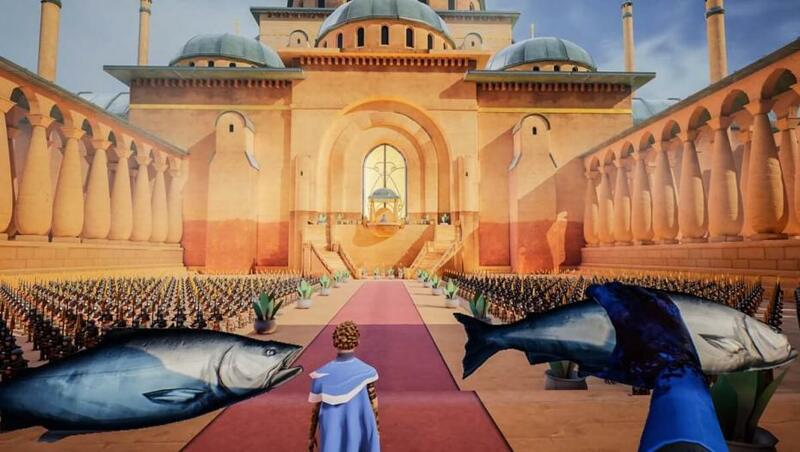 And in that moment, Edith Finch isn’t just a video game, but a game about the experience of video games. Now that the game is done we’ve got lots of development stories to share and we should have more time to update this blog. If there’s anything you’d like to hear us talk about, please let us know! This entry was posted on Sunday, April 23rd, 2017 at 8:07 pm	and is filed under Uncategorized. You can follow any responses to this entry through the RSS 2.0 feed. Both comments and pings are currently closed.